With the Tube-Within-a-Tube (TWT®) concept, the fixed tube (in the end cap) and the moveable tube (inside the piston rod) move telescopically inside each other. The air path precisely and efficiently delivers cooling or counter blow air to the forming process. Operational alignment is insured by design, not installation. 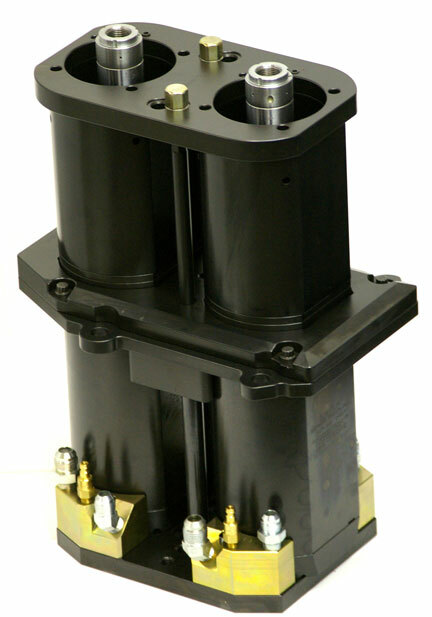 The Quantum TWT® Individual Cylinder allows complete interchangeability and standardization throughout all the IS Machines. Quantum plunger mechanisms have been installed in machines from major OEMs and fit in any I.S. machine maker configuration.